The Akkadian/Sumerian poet Enheduanna (2285-2250 BCE) is credited with creating the framework of poetry, psalms and prayers used throughout the ancient world –Enheduanna’s compositions were used as the template for the Babylonian prayers, the Hebrew Bible and the Homeric hymns of Greece. Enheduanna is the world’s first author known by name, whose works were inscribed over 4000 years ago. She was also a woman. 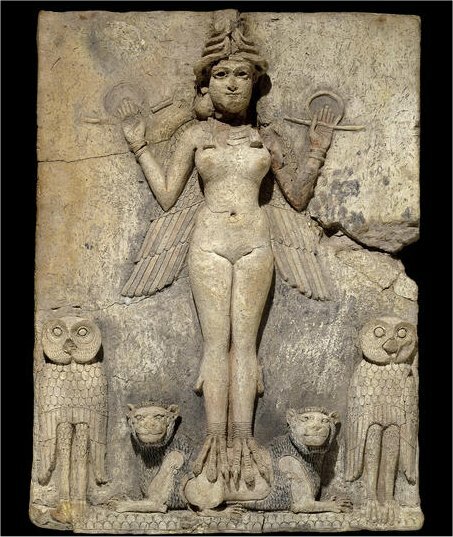 She is best known for her works Inninsagurra, Ninmesarra and Innimehusa, which were hymns to the goddess Inanna reflecting three different themes of ancient religious faith: war, governance and homemaking, and intimacy. It is widely accepted that a substantial portion of her religious hymns supports the imperialistic goals of Sargon the Great. Her devotion to Inanna extends to emphasizing Inanna’s supremacy among the gods, even compared to An, the authority in the pantheon. She also wrote poems reflecting personal experiences, her religious devotion, and responses to the world. Her words and her cultural legacy echo through millenia. Binkley, R. (1998). Enheduanna: Biographical information. Hart, M. (n.d.) Enheduanna’s Writings. Lewis, J. (n.d.) Ehneduanna: Priestess of Inanna – First author and poet in the world.